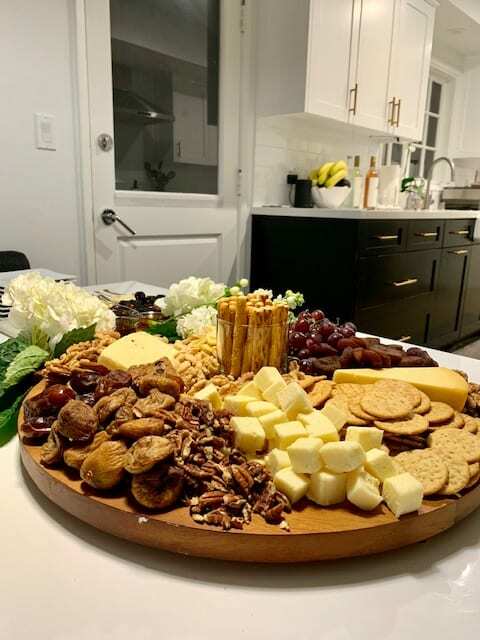 When hosting at home, it is important to make sure there are spaces for your guests to congregate. As this was a meeting setting, we gathered additional seating in Lauren’s living room and fluffed up her pillows so everyone would have a comfortable place to sit. 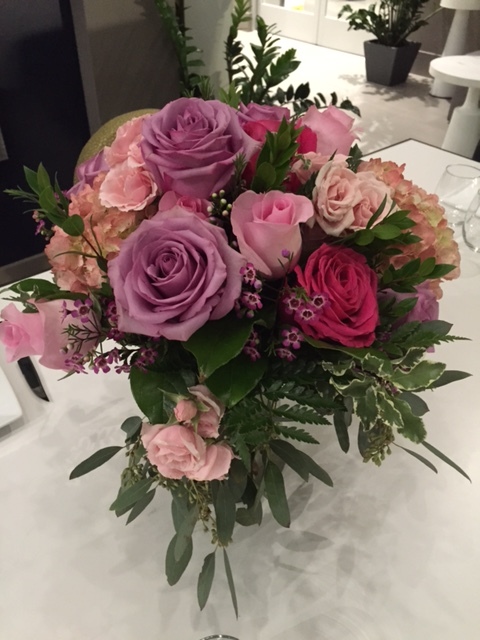 A few flower arrangements were quickly made to make the space feel special. 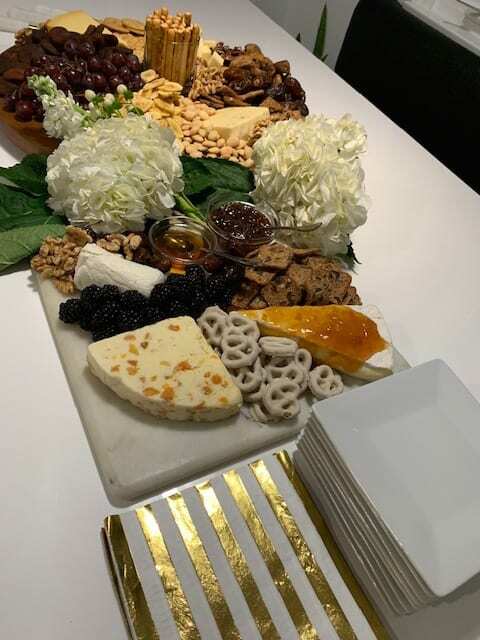 The piece de resistance was this stunning display of cheeses, nuts, and other small bites. In fact, the meeting never ended up moving into the other room. We found ourselves gathered around Lauren’s breakfast table for hours sharing our hopes and dreams for the futures of our businesses! Cheers to all of these ladies and their future endeavors! We truly cannot wait until the next time we meet … In fact, the first collaboration has been planned and is happening today! Come volunteer with us at the MollySimsxRM pop up event today (February 6th) between 8 – 1 at bryck@mortar to decorate Valentine’s Day gifts for the children of Baby2Baby. Come shop the MollySimsxRM Sweetheart Collection, get discounts on Brentwood Town Center shops, meet us, and more! For more information check out the official flier on our Instagram page or email us at info@sbsdesignla.com. As a recent West Coast transplant from the Midwest, I am always looking for new things to try and opportunities to meet new people. I was so touched when Tami asked me to join the Cookbook Club at November’s gathering. I had never heard of a Cookbook Club and loved the idea of gathering around food and trying new recipes. 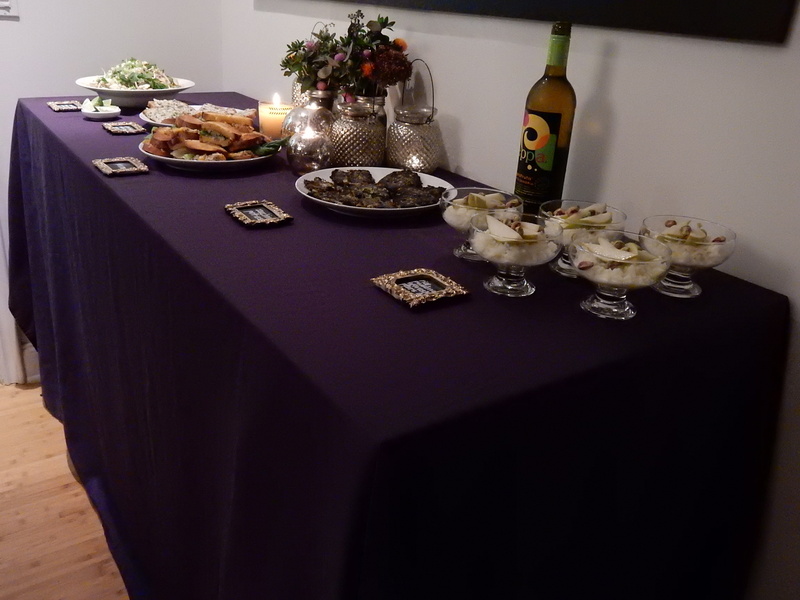 The November get-together was so fun and enjoyable; I immediately jumped at the chance to host the next gathering. 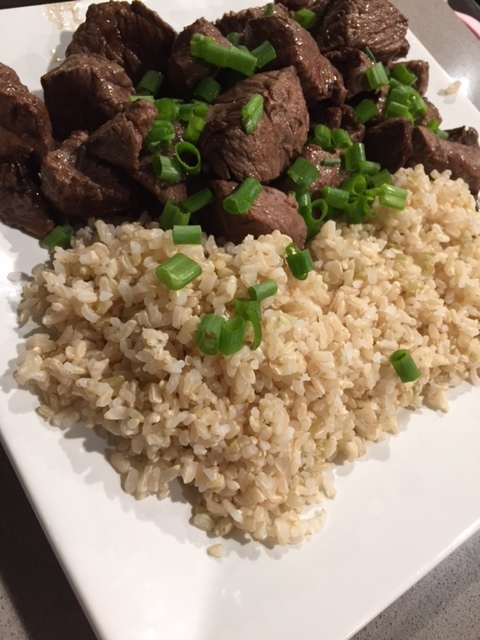 After a fun and busy holiday season, I was so looking forward to seeing everyone at Cookbook Club. 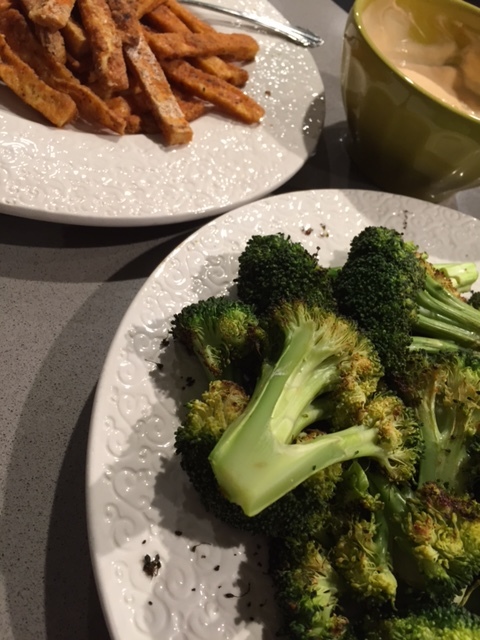 I, like many others, have a tendency to overindulge during all of the holiday fun in December and early January but really try to eat in a way that is healthy and clean once the parties fizzle out. 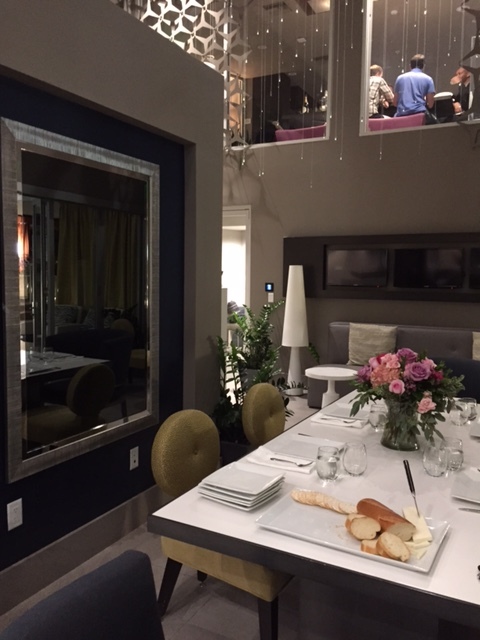 I selected Cooking Light as our source of inspiration and booked the common room in our apartment community. 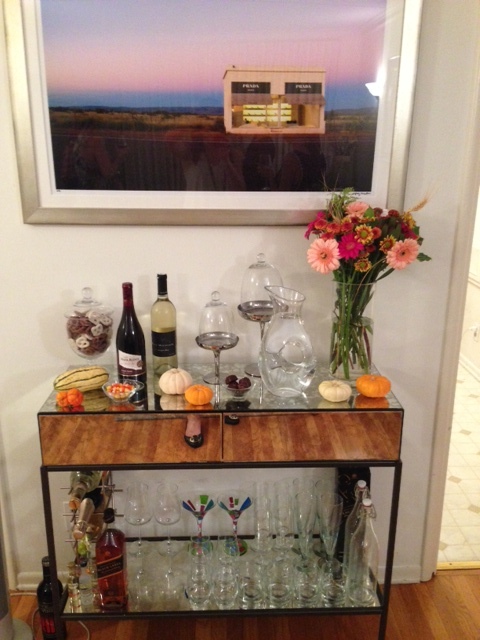 My take on entertaining is keep everything simple. 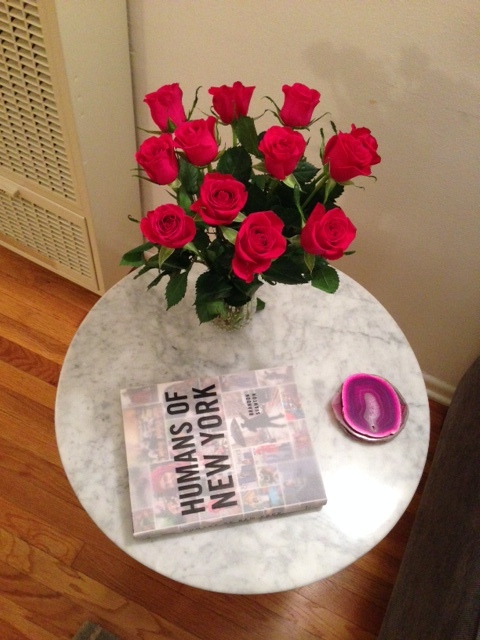 I’m not great at extravagant details but kept the feeling casual and special by having fresh flowers on the table, cloth napkins, a simple cheese plate, and plenty of wine. I also ordered beautiful fruit tarts from a local bakery to keep things easy for dessert. We had so much to celebrate. Lauren and Tami were celebrating their birthday and Paige, the original Cookbook Club Founder, popped over from Arizona for a surprise visit. The food was delicious but it could not compare to the company! We are already counting down the days until our next Cookbook Club event (and we haven’t actually set a date or selected a cookbook yet). 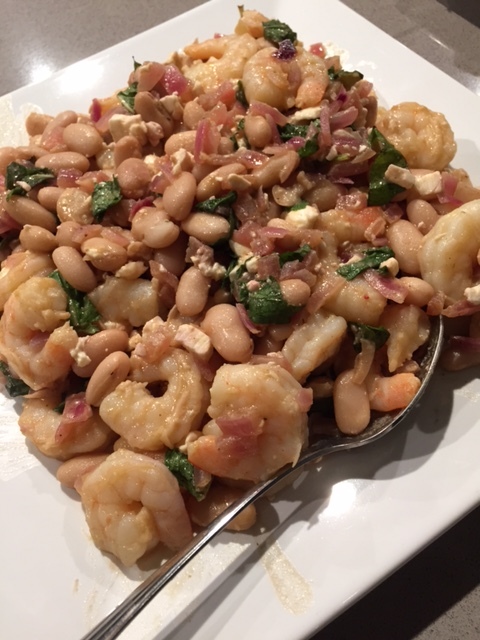 There is still time this month to get your group together and try out this month’s edition of Cooking Light. Let us know what recipes you try out! Also, any suggestions for a cookbook or cooking magazine to use for our February event is greatly appreciated. Keep on cooking! 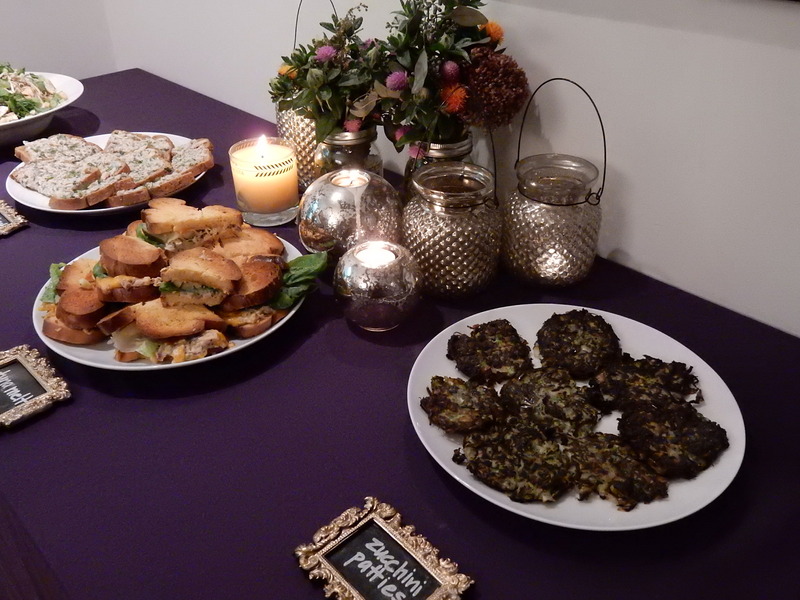 I was very excited to host our October Cookbook Club dinner party! There is nothing better than staying in on a Friday night with girlfriends, sipping wine, and devouring delicious homemade food. The best part is, I only had to make one dish! I chose the October issue of the Food Network magazine; a magazine I had never actually purchased before that was filled with hundreds of recipes! 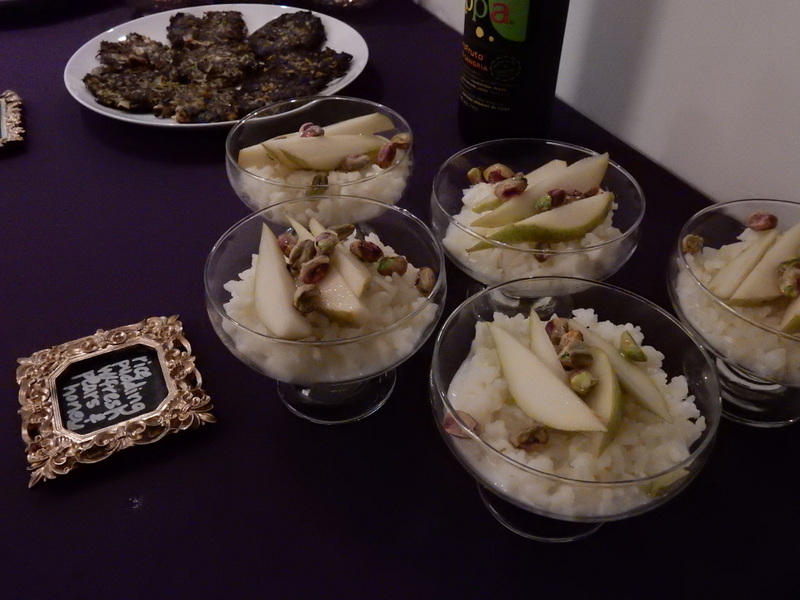 The recipes were appropriately themed for Fall and they appeared relatively basic. As soon as I purchased the magazine I knew I wanted a fun Fall theme to kick off the holiday season! 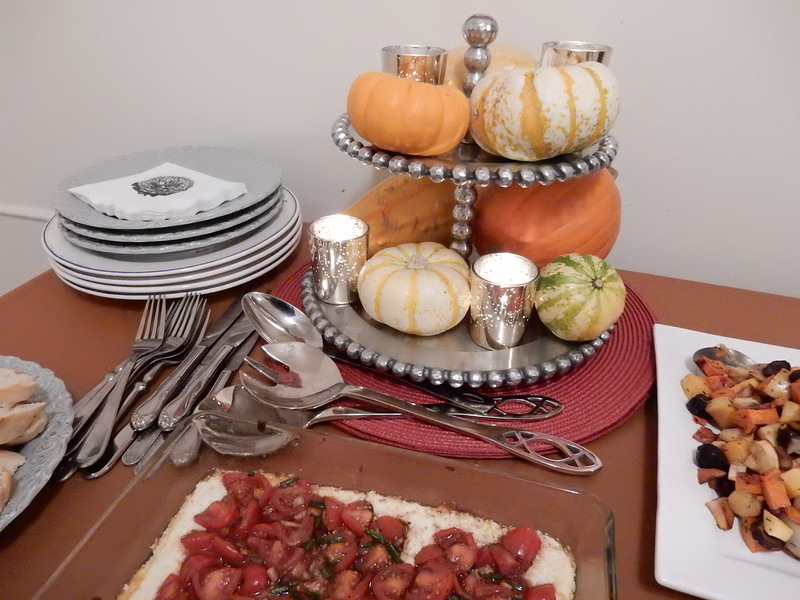 This month’s cookbook club was exactly one week before Halloween so I incorporated a lot of miniature pumpkins and candy corn into the decor. Since it was 90 degrees in Los Angeles that day I kept the flowers light by mixing pinks and yellows into the otherwise orange color scheme. 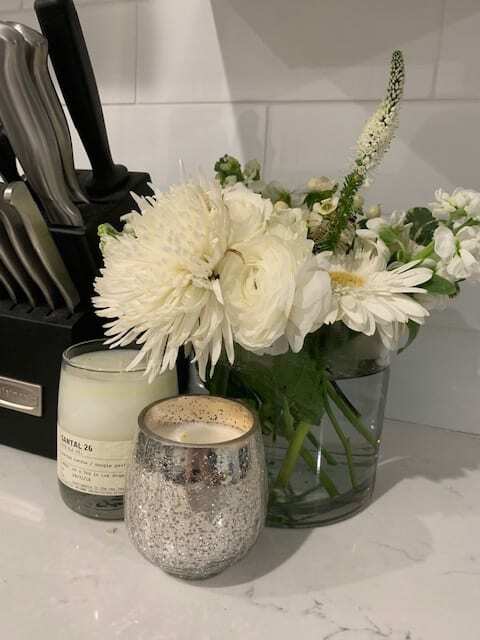 I picked up unscented candles and votives from Michael’s the week prior to add some sparkle and set the tone for the evening. As guests arrived we opened a bottle of Rose’ to start which seemed appropriate as we transition into a still-warm Fall evening. I announced to the guests that I set up a little game to play to get into the holiday spirit. 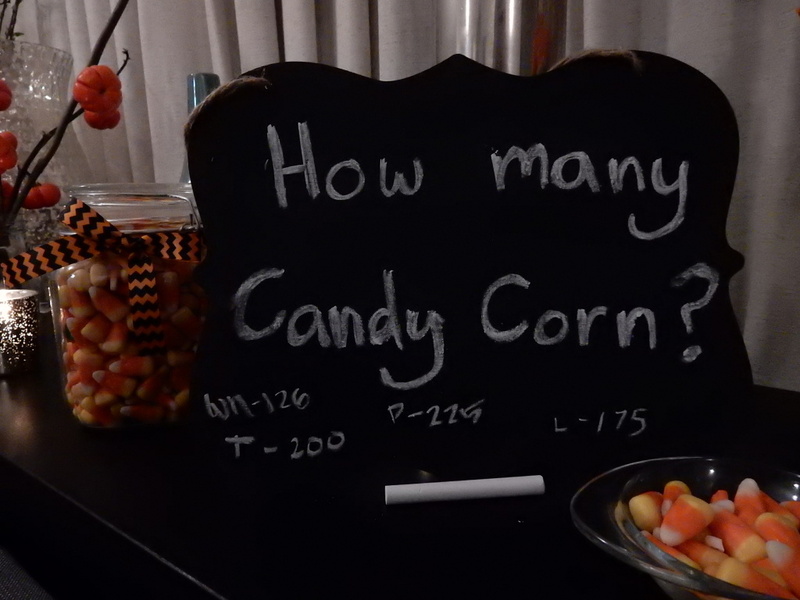 I had filled a jar with candy corn and placed it next to a chalk board with the question “How many Candy Corn?” Each guest wrote down their estimate on the chalk board. 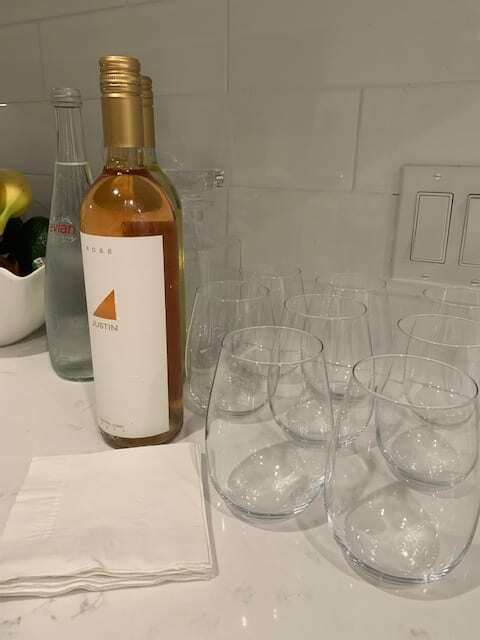 This was a great way to entertain guests while I had the chance to do last-minute food preparations, fill water glasses, and to spark conversation. Our dinner menu was delicious! 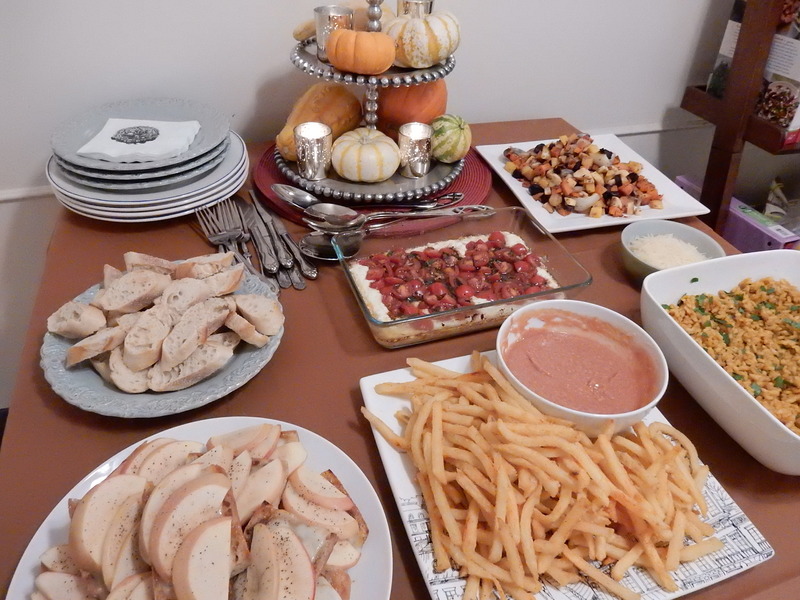 The recipes chosen were the Butternut Squash Risotto (pg 133), Apple Cheese Toast (pg 75), Celery Salt Fries with Bloody Mary Ketchup (pg 97), Baked Goat Cheese Dip (pg 94), and Roasted Fall Vegetables (pg 123). 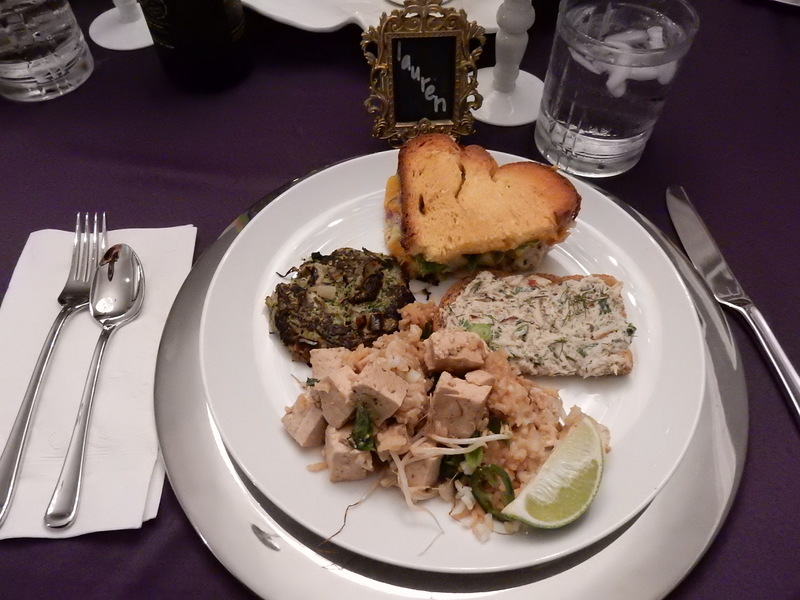 We all filled our plates with second helpings and were unapologetic about the mostly carb-filled meal! We all gossiped and caught up until the wee hours of the morning with full tummies. At the end of the evening the winner of the Candy Corn game was announced. 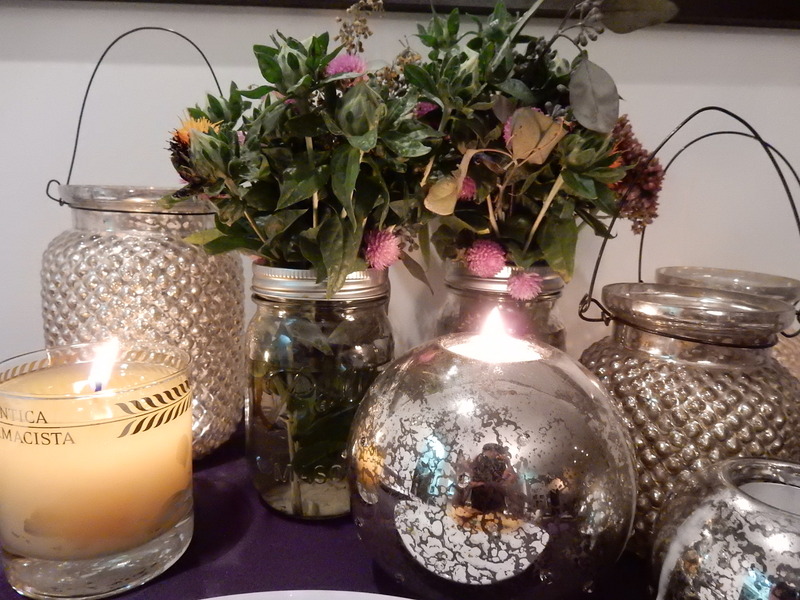 Every guest had under-estimated (who knew so many pieces could fit in that jar?) but Paige had the highest guess, closest to the correct answer of 312. Paige took home the jar to enjoy with her family. Congrats, Paige! I am very much looking forward to next month’s Cookbook Club at Tami’s new apartment with Martha Stewart magazine! 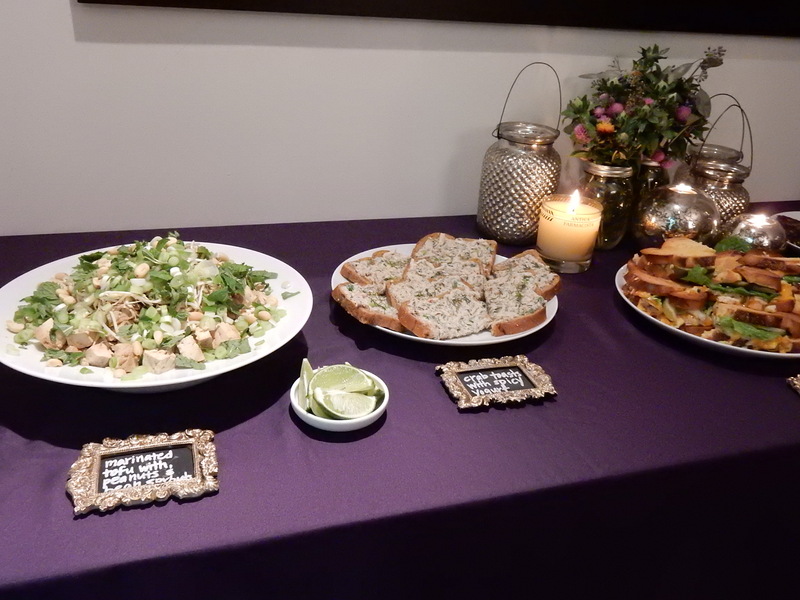 As Mary mentioned, our very own Tami will be hosting next month’s Cookbook Club dinner party. We are so excited! 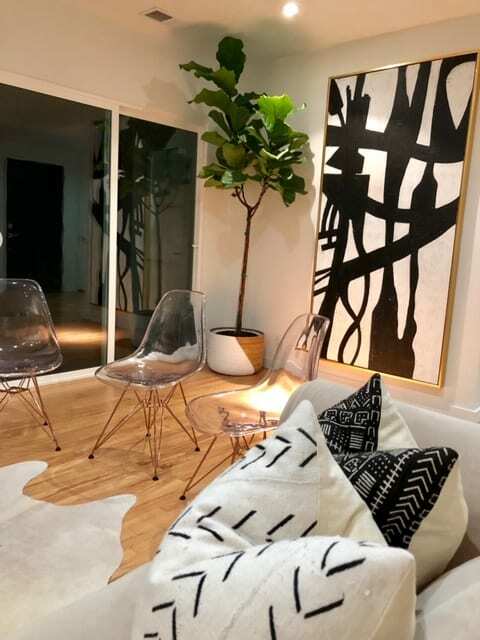 Tami is also especially excited to finally be able to show off her new place (look for posts to come showcasing the finished product as well in the near future). 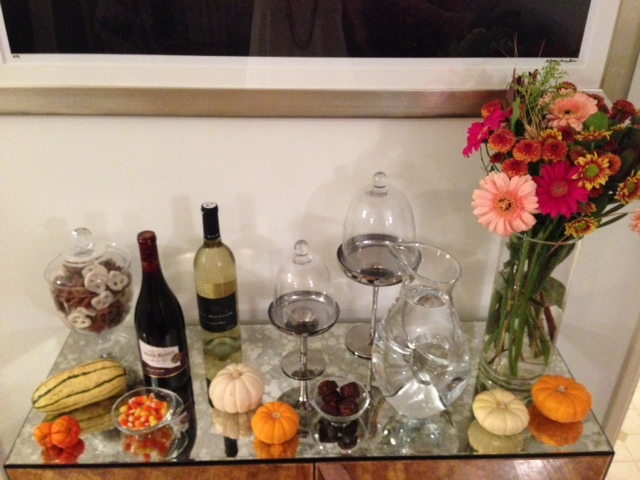 Next month, we will be creating dishes from the November issue of Martha Stewart Living. We have made it extremely easy for you and your crew to take part. Don’t get up! Just click on this link and you can purchase the magazine right from home! Also, as this is intended as an interactive post, we would love to hear from you. Have you tried any of the recipes from the October issue of Food Network magazine? What did you make and what did you think? 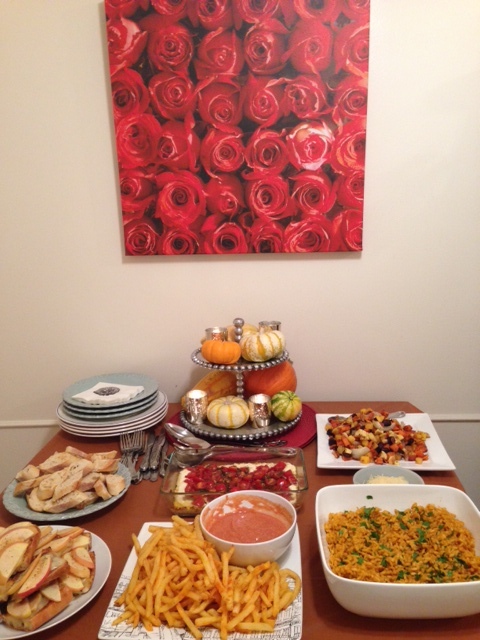 If not, join us for our November challenge … gather your friends and get cooking! 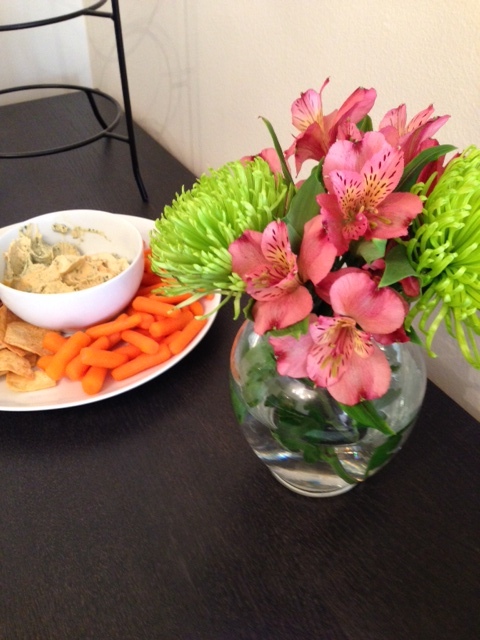 Last Friday, we had our monthly meeting for our new Cookbook Club. Each month, one of the girls hosts a dinner party in their home and the rest of us bring one recipe from the pre-selected cookbook or cooking magazine of their choice. 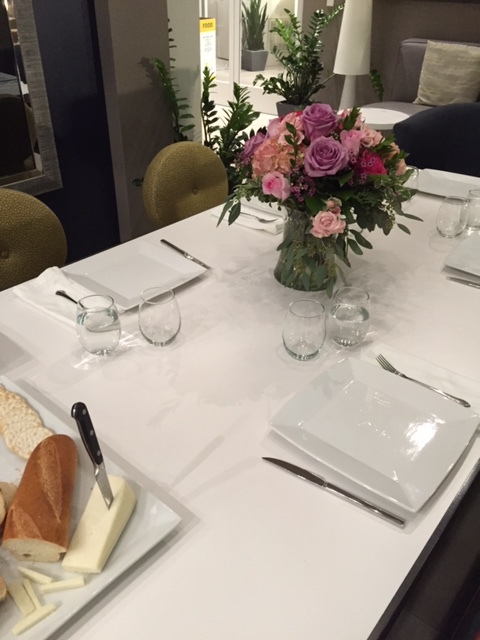 Over the past two months, each hostess has also taken the opportunity to write about their cookbook selecting process, what they did to prepare for their guests, or whatever else was on their mind. 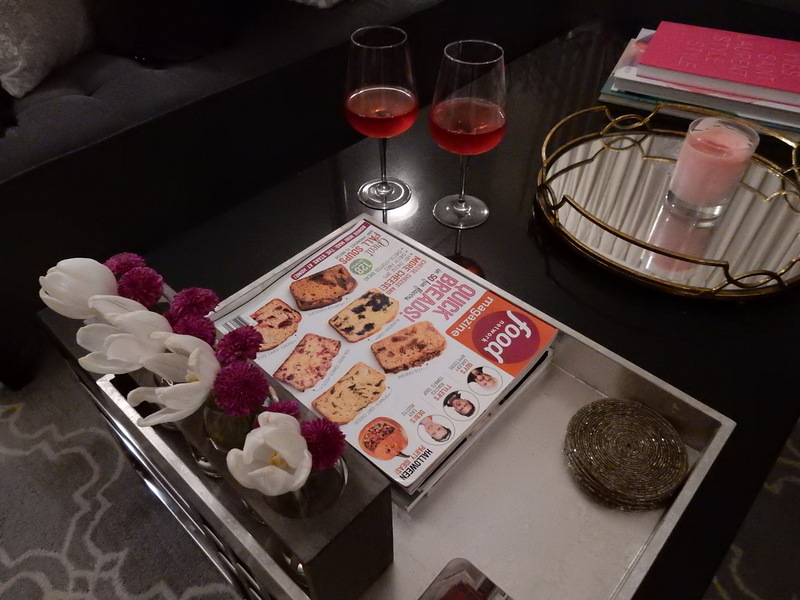 This month, Lauren offered to host Cookbook Club and selected one of her favorite cooking magazines as the starting point for this whole event. So without further ado … we introduce our very own Lauren! Ever since the start of this club, I have been so excited to get the opportunity to host. 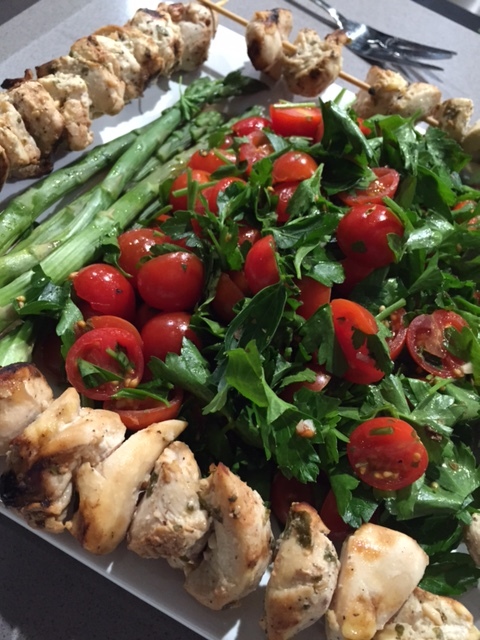 I love getting the chance to host a good dinner party and knowing that each of the girls would be bringing a dish to share takes some of the pressure off. 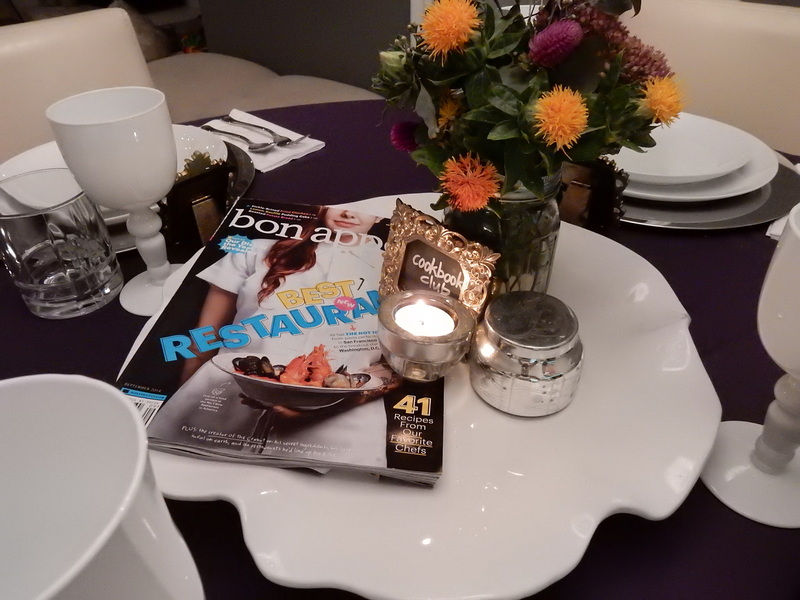 When I thought about what cooking publication I would pick, I knew I wanted to go with Bon Appetit. I have been getting their magazine for some time now and have always been a bit intimidated by the recipes. I decided that now is the best time to put that fear to rest, and I am so glad I did. When the September issue came out, I knew I wanted to keep the overall look for the dinner party consistent with the magazine cover. It was just so edgy and colorful, I knew it would make for a fun inspiration. 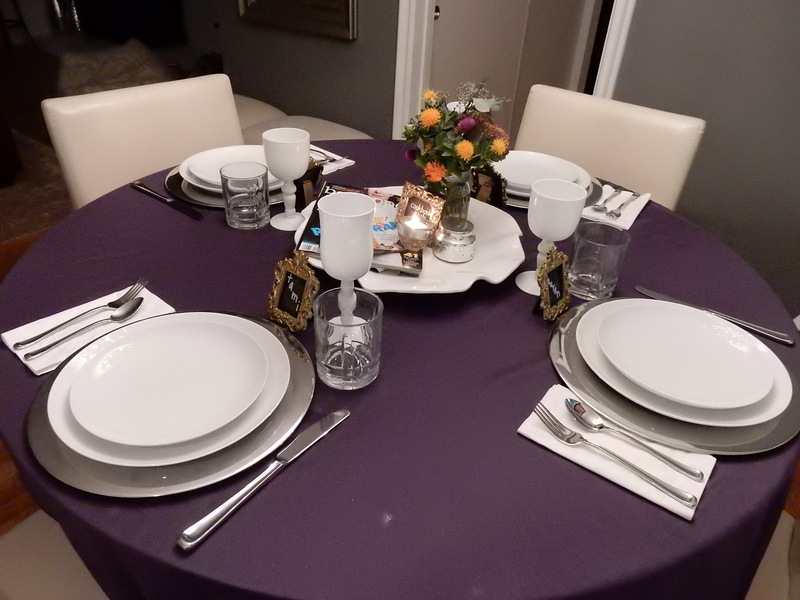 I decided to go with dark purple tablecloths (which I already had) with all white dishes and glassware. Mixing in gold chalkboard frames, antique glass candle holders, and bright florals kept things formal and fun at the same time. Since each of the girls had told me ahead of time what they were planning to make, I thought it would be fun to create food tags out of the gold framed chalkboards I had on hand. I also used the same tags to show each girl to their seat. 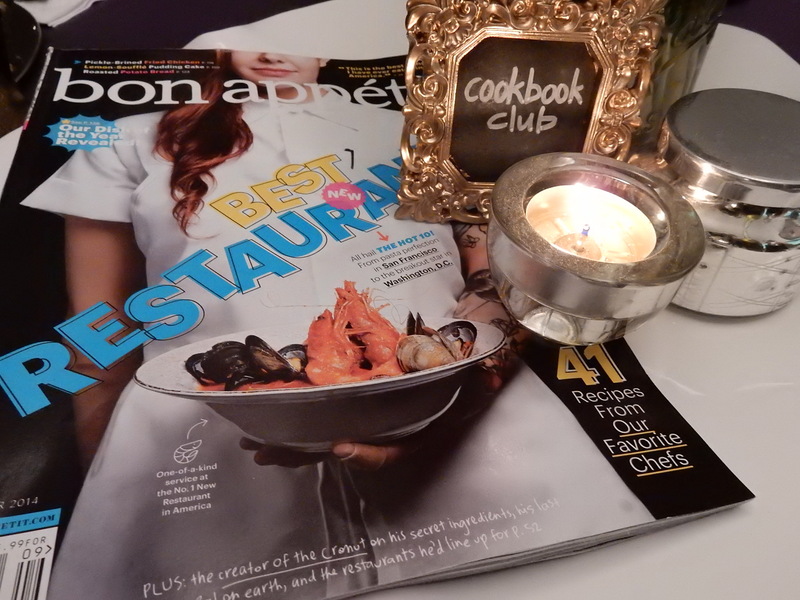 As I was already intimidated by the complex recipes found inside this magazine, I decided why not go completely out of my comfort zone and make something I wouldn’t normally make. 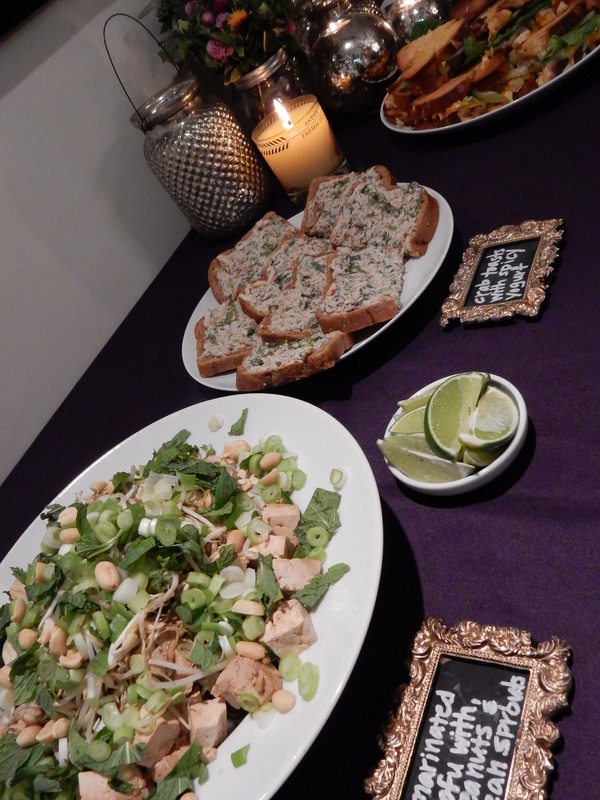 I decided on the Marinated Tofu with Peanuts and Charred Bean Sprouts and was surprised at how simple it ended up being. While we were shopping for all of the necessary ingredients, Tami and I decided to take on one last recipe together. 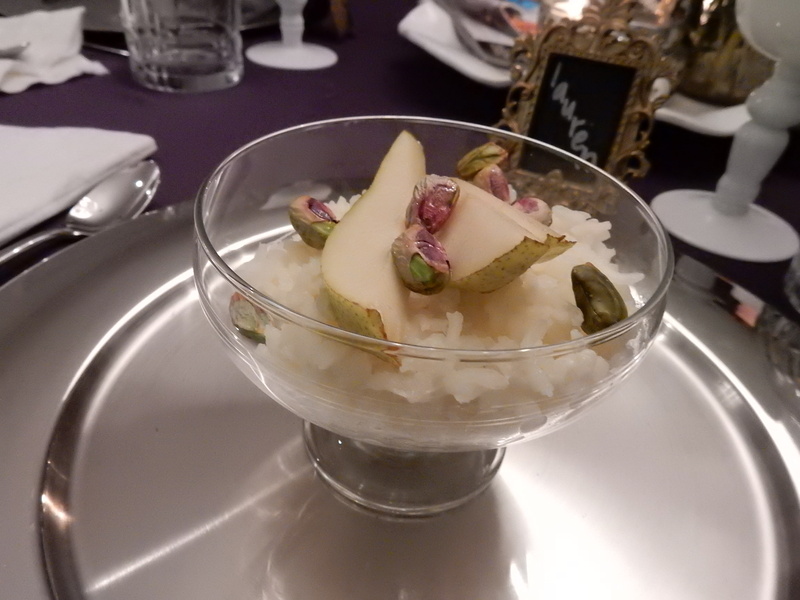 No dinner party is complete without dessert and the Rice Pudding with Fresh Pears and Honey sounded relatively easy without too many ingredients. We are already looking forward to next month’s meeting which will be hosted by our friend Mary. We will be creating dishes from the October issue of Food Network Magazine, and this month have made it even easier for you and your crew. Don’t get up! Just click on this link and you can purchase the magazine right from home! Also, as this is intended as an interactive post, we would love to hear from you. Have you tried any of the recipes from the September issue of Bon Appetit? What did you make and what did you think? If you haven’t, you are in luck as September is not quite over yet … Gather your friends and get cooking! 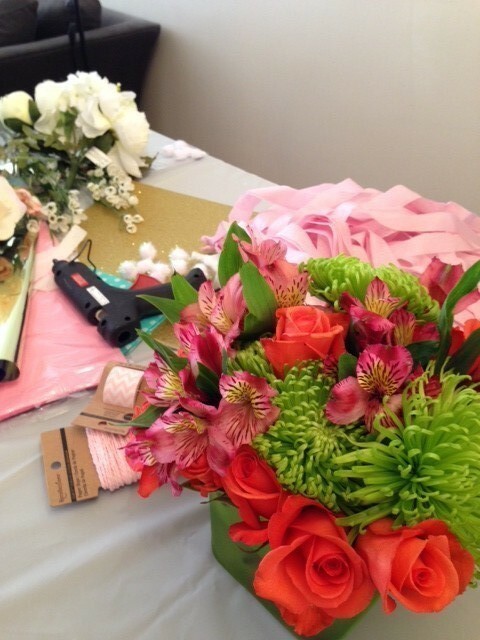 One thing we truly look forward to each month is our time spent with our Craft Club girls. 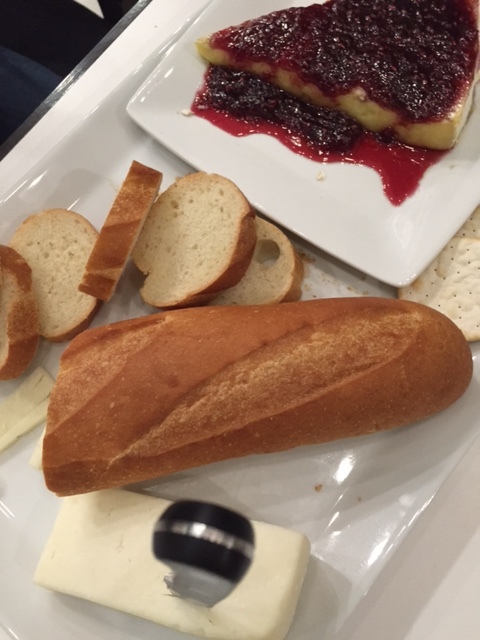 It really is such a great way to spend a Sunday … chatting, eating, and getting our craft on! 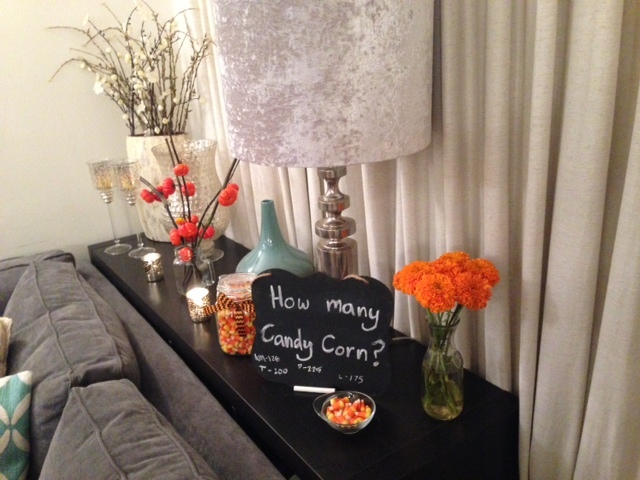 Depending on what the season is and what holidays are coming up, we will often times plan a theme and each girl will create something based on that general idea. However, there are many times as well that we all just feel like we have been wanting to get to something or other and this is that perfect opportunity. This was one of those months … no theme was planned. Although it turned out that the majority of the group had a common purpose; to create DIY decorations for upcoming parties in our lives. This month we kept the snacks simple. 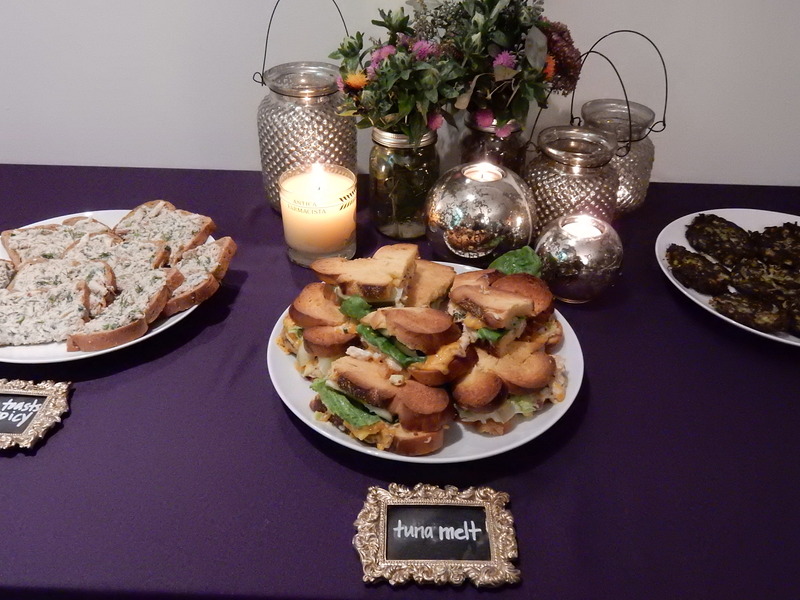 Our hostess, Paige, set out a few options to keep our tummies happy while our hands were hard at work. 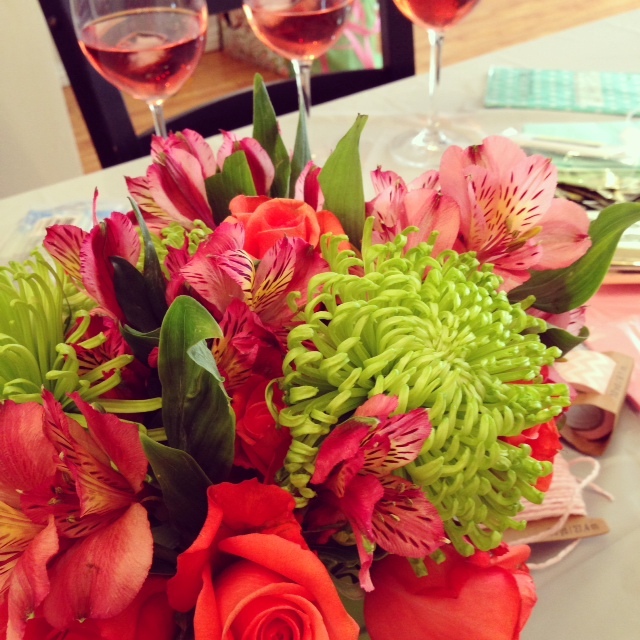 Beautiful floral arrangements that decorated our work space were enjoyed and so were these delicious glasses of rose. Unfortunately (for you) we don’t have much to show yet in the way of projects, as they are all still in the works and it would really ruin the party surprise if we showed our DIY creations ahead of time. We will just say that the girls really outdid themselves this time and we will post finished products and details as soon as we possibly can. Such a tease, we know! After two years of crafting together, we are happy to announce that we still have just as much fun each month as we did in the beginning. It never ceases to amaze us how talented each of the girls we craft with is and how much we continue to inspire each other (#luckyladies … right girls?). For those of you crafty individuals out there, we would love your input. 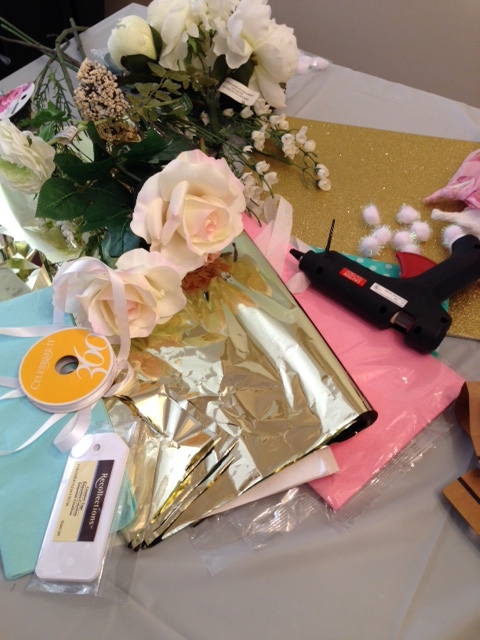 What is a good theme for our September Craft Club meeting? What are you crafting these days? Leave us a comment below? We’d love to hear from you.